The Rashanar Sector, site of one of the fiercest battles of the Dominion War, now contains a vast intestellar graveyard littered with the hulks of hundreds of devastated starships. The destruction of so many warp drives has created a danger zone where the space-time continuum is distorted, and bizarre energies and anomalies are unleashed. I've read this book once before, but never continued onto the rest of the series. Now I have them all lined up ready I thought I would give them another chance, especially given how much they are referenced in the later continuation novels. 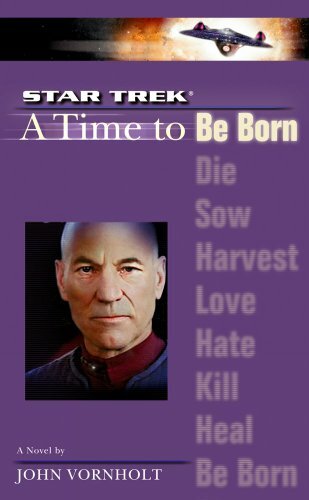 The first instalment sees the Enterprise assigned to a starship graveyard filled with unidentified anomalies, alien scavengers, and ships destroyed in the Dominion War. When things go catalytically wrong the crew head back to earth for court martial. 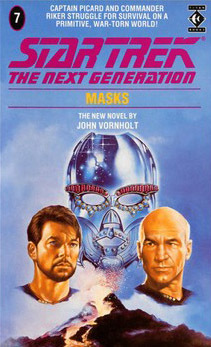 The point of this series is to bridge the gap leading up to the film Nemesis, and Vornholt sets several of the unexplained plot points in motion, particularly for Crusher, Data, and Wesley, who for me at least makes a welcome return. He also makes good use of a number of guest characters from the TV series. The plot is fairly straight forward, although there are some parts where events are a little tricky to follow, particularly when set around the spatial anomalies. The second half turns a little towards the legal drama genre, which is quite irritating as the characters we're aligned with are kept in the dark. The novel has a disappointing lack of conclusions, which I suppose is justifiable as half of a duology, but it would have been nice to have some points settled rather than everything hanging over. 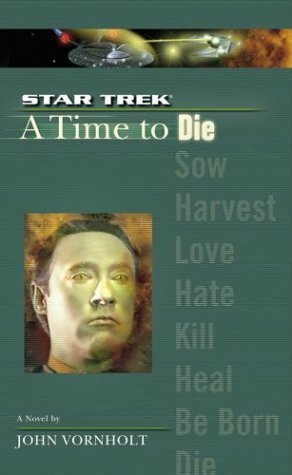 Overall a pretty standard trek novel.